Friday night began in a very relaxed way for me. After 2 days of hustling, I decided it was time for a nice break: a salmon dinner and a prickly pear margarita at Caroline on Congress Avenue. After such a civilised meal, I was back in the (crazy) game and high-tailed it to Valhalla on Red River, for the first few acts of the End of the Trail Creative showcase. Without fail, Valhalla is one of the hardest places to photograph musicians. Most are bathed in a steady, all-enveloping red light that does no favours to anyone’s looks. I didn’t have much of a prayer there shooting the Sandinistas or Laucan as part of the Sunday Best showcase there in 2017. Preston singer/songwriter Pip Hall was up first. For an artist so obviously young, you don’t expect such a rich voice belying her tender years. Hall was smiley and confident, which isn’t something you necessarily see with young artists coming out to play in America for the first time. Her guitar-driven songwriting is definitely on the rock end of the spectrum, whether it be on one of her earliest songs ‘Devil You Don’t’ to newest release ‘So Easy’, which was released at the start of March and has echoes of Fleetwood Mac, one of her biggest influences. While Hall’s set of coming of age songs was never going to be one of the most exciting performances at SXSW – she played a guitar and was accompanied by another guitarist, and that was it – massive respect to her for coming out to Austin and performing with such aplomb. Ah, yes. Sam Eagle. From one underage youngster to another. My friends I brought along to Valhalla this evening adored this Essex artist and his band. How would you describe the music? It’s jazzy – note the obvious trumpet onstage – but it’s clearly not straight jazz. It’s funky, but would it meet Prince and Bootsy’s standards? Possibly. Valhalla’s stage is not a large one and yet Eagle (is that really his surname?) managed to fit a five-piece band on there. 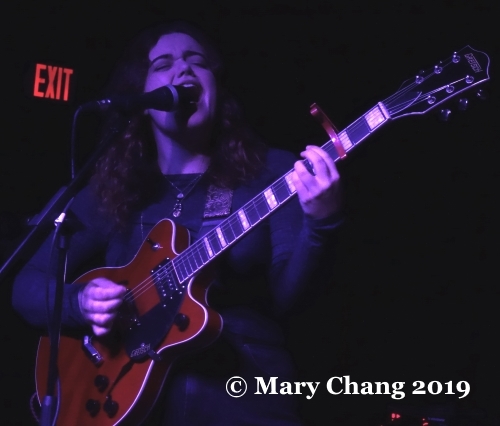 Though the songs lacked linearity, the band – not to mention the audience – fully embraced the chaos, Eagle and band doing a great job in raising the energy level in the shadowy venue. 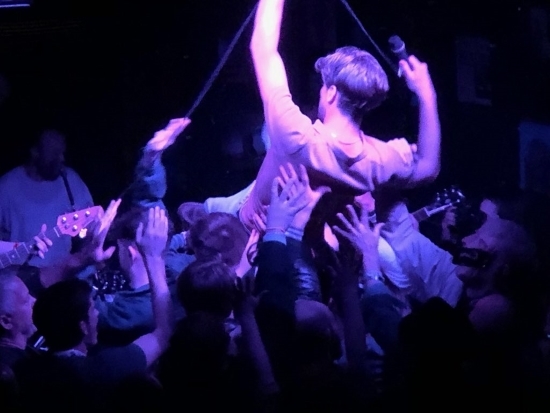 Glaswegian punk band Rascalton has been on my radar since early 2018, being one of my best bets at last year’s editions of Live at Leeds and The Great Escape. 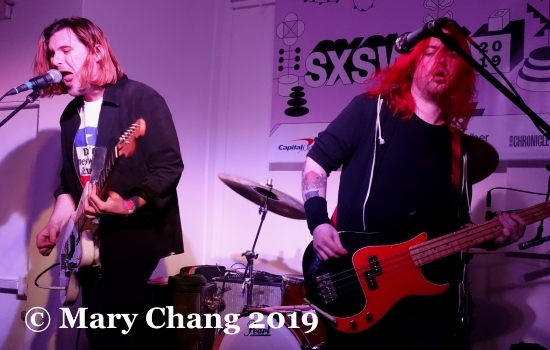 I followed this up with this SXSW 2019-flavoured Bands to Watch piece on them in February. Having seen their frenetic performance at the Green Door Store Saturday night in Brighton, after fellow Scots and friends Declan Welsh and the Decadent West I might add, I was quick to recommend them to the friends of mine who had already taken to similar acts IDLES and LIFE. Their appearance at Valhalla didn’t disappoint and funnily enough, the mayhem on the floor was further ratcheted up by the front by their buddies The Dunts, shouting back lyrics to the stage with gusto. The feeling behind this performance was very different than Rascalton’s set at Green Door Store last year, a relatively tame experience save for a few folks cutting a rug good-naturedly. After falling in a Biffy Clyro-incited mosh pit at Roskilde in 2010, I know when to set back and to the side when things start getting violent. While I wasn’t part of the melee of aggro, mad fer it fans, even I could see the frenzied result of hearing the punk strains of Rascalton in this club. Checkmate. After their fine showing on the sunlit stage of B.D. Riley’s that afternoon as part of the full Irish breakfast, I decided I wanted to see Fangclub in a venue tailor-made for them. If Plush is the place to be to watch the hottest electronic producers, 720 – at 720 Red River, natch – is where you go for hard rock. You don’t come here for high production values and an awe-inspiring light show. No further decor beyond clinical white walls and a simple bar that only serves alcohol in cans, it’s the place to see rock at its most primal and visceral on show. As expected, 720 was perfect for Fangclub. Long hair flying and with sustained, menacing chords up to 11 aplenty, they wowed the crowd waiting for a good sonic pummeling. And that we got. I only took a handful of photos because I wanted to step back and take in the spectacle. After two back-to-back, no-nonsense hard-rocking groups, I decided sitting down and resting my feet at the end of my third day in Austin was just what the doctor ordered. For a second year in a row, Joshua Burnside and his band were set to perform at 11 PM at the Victoria Room at the Driskill. 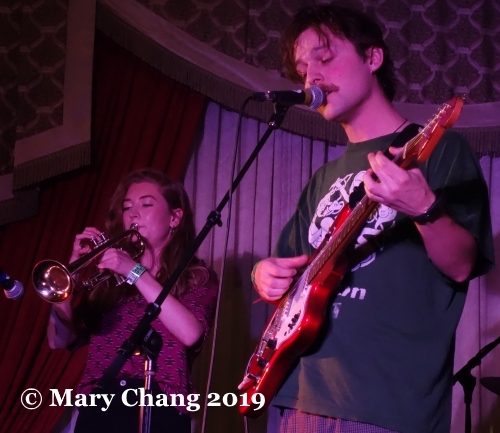 Though I saw part of the band’s performance at the Output Belfast showcase at the British Music Embassy Thursday afternoon, this performance at the Driskill was truly what I was waiting for. Like that show, Burnside threw his hat of the evening in the crowd but implored to the Victorian Room crowd that he wanted it back. Ha. Dressed in decidedly relaxed togs – well, we were in Austin after all, right? – he and his band proceeded through a lovely set of songs that showcased Burnside’s twangy, folky Irish accent against eclectic instrumentation. Emotional, beautiful and touching in equal measure, I thought I might float away on a cloud from the gorgeousness. ‘Holllllogram’, which I mentioned of my review of him on Thursday, was introduced with a joke. Burnside explained that the song was intended to be a duet for a man and a woman, and he suggested that we “…imagine I’m a beautiful woman singing the second verse…or you can just imagine I’m beautiful the whole way through!” A disarming comment that led to peals of laughter.